I have 15 years counselling experience and have helped individuals deal with a wide range of issues. Grief and loss counselling and relationship counselling are specialities. Please feel free to contact me to discuss your needs on 0417 295100. I am available for one to one sessions in life coaching. This can be face to face, by Skype or by phone. Specialties are career coaching and health and well being coaching. Face to face sessions can be at Tranmere. Phone Diana on 0417 295100 to book in your appointment. Diana has now trained as an NLP and TLT™ Practitioner. These are complementary therapies that align the conscious mind and the unconscious mind so that you release negative emotions and beliefs and become a better you. Diana traned as a clinical hypnotherapist along time ago. This year she has updated her skills in this modality.Hypnosis can be helpful in smoking cessation, weight loss, stress management and performance enhancement. Phone Diana on 0417 295100 to find out more. The Mainspring Method is a new complementary therapy that addresses mind body self healing and has been devised by Miriam Henke. 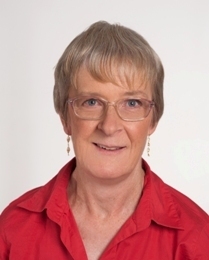 Diana is a qualified practitioner in the Mainspring Method. Diana has created 2 different one day workshops that can be run on demand. New Directions Workshop is a workshop for people wanting changes in their working lives. Find out where you are right now on a number of variables and set goals around where you want to be. Then work out strategies to achieve your goals. Contact me to express your interest. Managing Change Workshop is a workshop for anyone who is keen to change something about themselves or their lives. It is based on my book, Setting Yourself Free, and participants do actually receive a free copy of this book. Gain greater clarity in relation to your life, discover something about yourself and set your sights on new changes that will make your life infinitely better. Venue is in Tranmere. This workshop will be held on a Saturday or Sunday convenient for those interested.